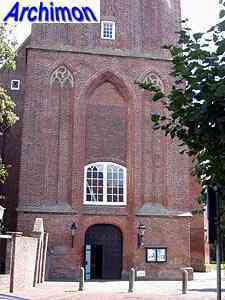 In the late 14th century, after several floodings and a hurricane, the town of Elburg, a prospering member of the Hanseatic League, abandoned its location at the Zuiderzee and was rebuilt a little more land inwards. 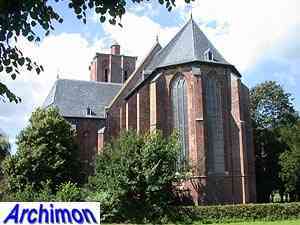 In only four years, from 1392 until 1396, an entirely new town was built. 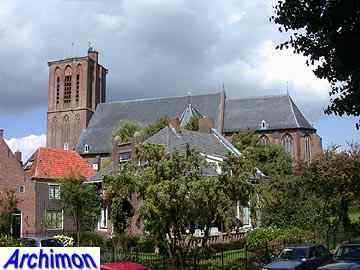 A completely planned town, with a rectangular ground plan and straight streets. 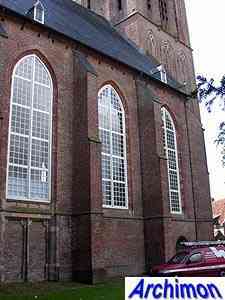 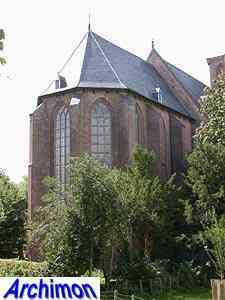 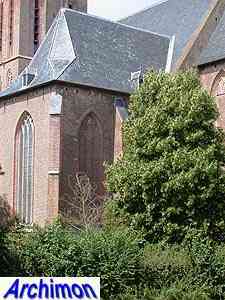 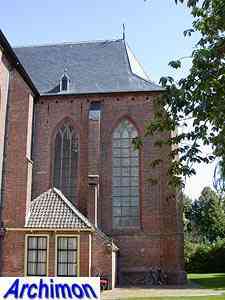 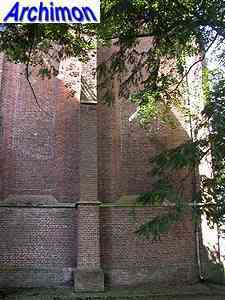 However, Elburg''s church was still at the old location, outside the walls of the new town. 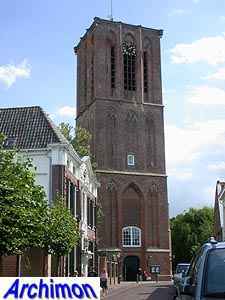 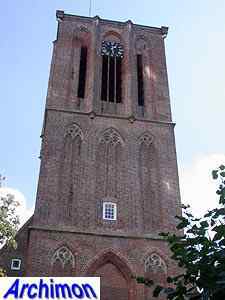 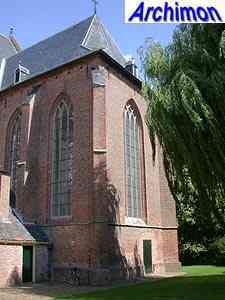 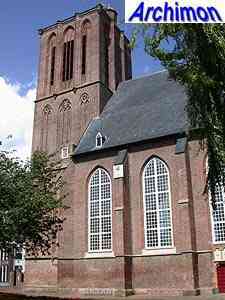 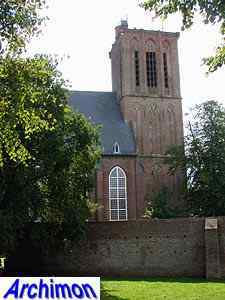 When in 1397 permission was given by the bishop of Utrecht to build a new church, only a piece of land in the north-east of the town was still empty. 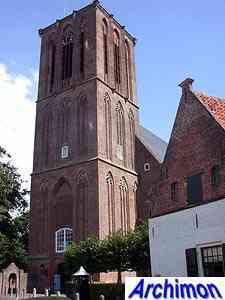 Thus the new church was built at the edge of the town, not at its centre. 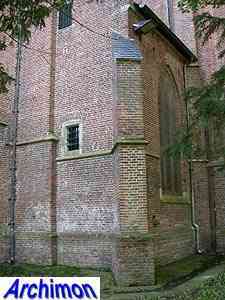 This church must have been built quite badly, because already in 1448 it needed rebuilding. 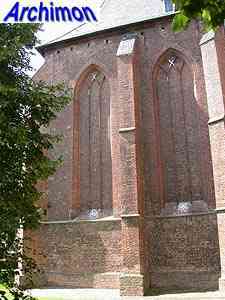 First the tower and the choir were renewed, then the ship and, in the final stage, the transept and the sacristy. 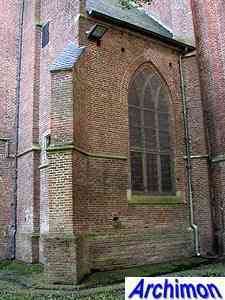 Work wasn't completed until 1465. 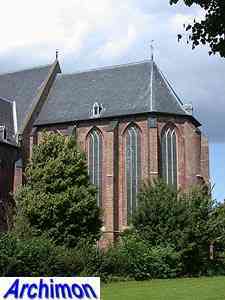 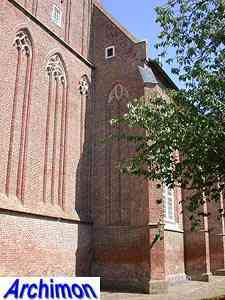 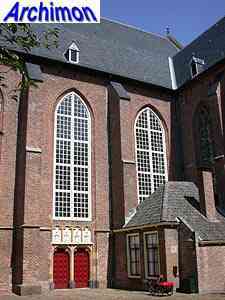 The resulting church is a three-aisled pseudo-basilica in Gothic style, with a choir which is lower than the nave. 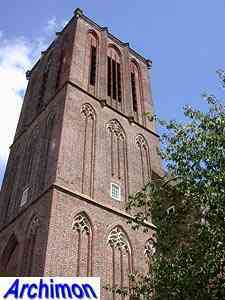 Originally the tower had a spire on top, but it was lost when lightning struck in 1693 and never replaced. 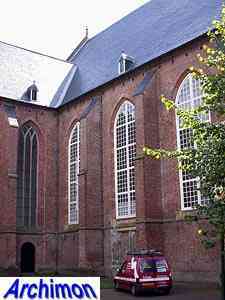 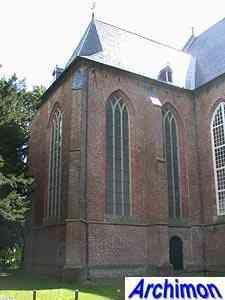 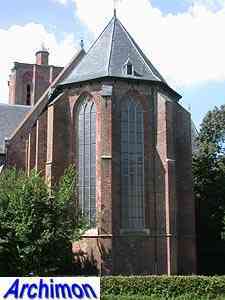 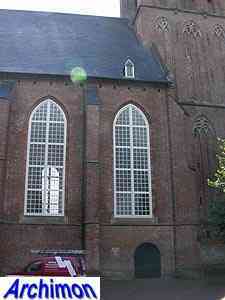 The church became protestant in 1580, but already in 1566 protestants had vandalised the interior. 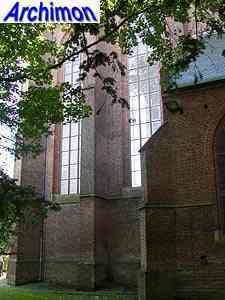 The building was damaged several times since, especially on the inside.